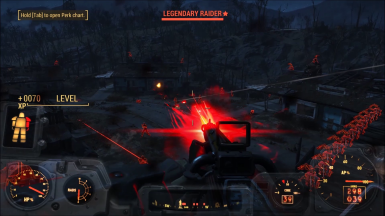 New version of the Settlement Raiding mod, no more batch files. Give you the ability to spawn custom raids using a new terminal. * Added special ghoul raid. * Change ghouls bat to be more.... interesting! * Completely new installer made from scratch. * Add DeathClaw Raid! - Very hard for low level characters! * Added Institute raids to the Castle! * Added BoS raids to the Castle! * Added Special raids to the Castle! * First attempt at removing faction flags (Just BoS for now) please let me know if this has worked! * Fixed the issue (Well found the issue) with the raiders boss not showing up! it was to do with the plugin order! Read/Reread installing notes! * Completely redone institute raids and again everything about them is institute (Clothing, equipment, bodies ect) except faction flags! 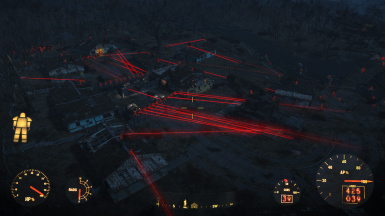 * All NPC's used are now Settlement raiding mod unique! * The mod no longer needs to be placed in any particular place in NMM plugin manager. 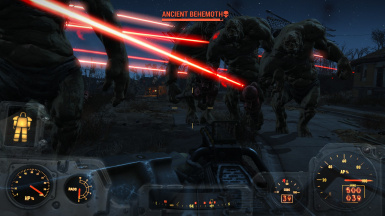 * Removed the kill all command from the Ghoul and Deathclaw Raids. 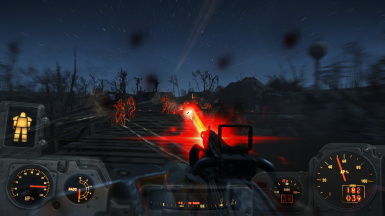 * The weather in the Ghoul and Deathclaw raid is no longer instant and gradually changes instead. 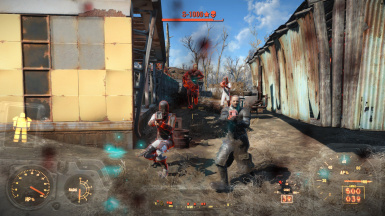 * Spawned enemy will now storm your settlement rather than waiting around to get shot! 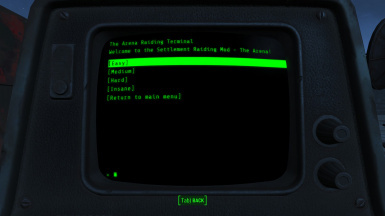 The new version of the Settlement Raiding Mod is now based around one custom made settlement (for now) The reason for this is to provide a controlled environment to test Scripts, AI, Raids and Functions. 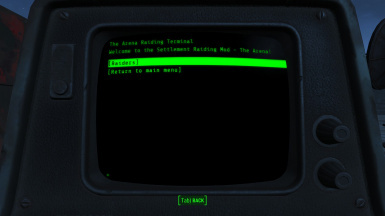 This may seem like one step forward to steps back as the batch files covered nearly all settlements however, The mod now uses a terminal to summon the raids and is now made using the creation kit which allows for a lot more functionality and stability. The mod now has a real foundation on which it can be fully realized and built upon. 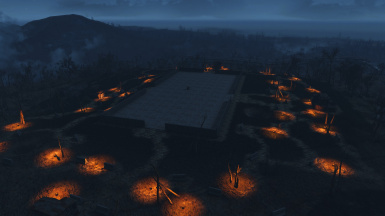 Once I have re-implemented all the raid types and have fully debugged any problems I will then push the mod back out to cover all settlements. * Fully functioning can spawn raids in game without batch files! * 4 Difficulty settings - Easy, Medium, Hard and insane - recommended levels 10, 20, 30, 40 respectively. 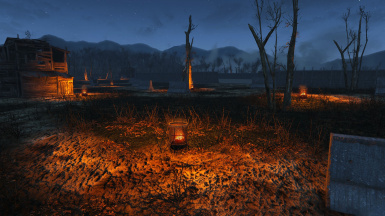 * All NPCs used are unique to this mod, they have been created using the creation kit. * All the NPC weapons and armors are edited and hand picked for each NPC. * You DO NOT need to be enemies with any faction to run these raids, all the NPCs used in this mod share a unique faction. Strategy: Take out their missile troops and bosses before you loose your turrets! Group breakdown: All laser wielding cyborgs! Strategy: TAKE OUT THE COURSERS FIRST, and any bosses you see, they have the ability to call in 5 reinforcements with just 1 grenade and they hold multiple grenades, it can go south on you pretty quick. Removes corpses after the chosen option (must travel out the area to take affect) this affect is game wide. This does not mean you cannot plunder the dead NPCs it only takes affect if you leave the area completely. Stops dead NPCs dropping their weapons when the die, this effect is game wide. You will still be able to pick up the NPCs weapon through the corpse. Highly recommended when using Corpse Plugin as once the corpses disappear their weapons remain behind. 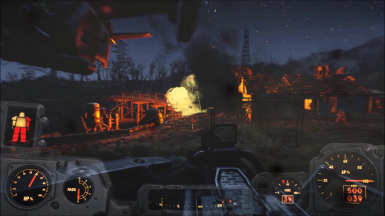 Navigate to your Fallout 4 Folder at the following location "Documents/My Games/Fallout 4"
Within this folder you'll find a number of .ini files. 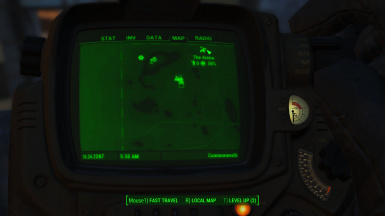 Open (or create, if missing) Fallout4Custom.ini with your favourite text editor (we use Notepad++). Click download with NMM and install the mod as usual. This version is no long supported however if you still wish to use the batch you are free to do so however you may need to fault check for yourself. * All NPCs used are unique to this mod, they have been heavily edited from vanilla templates. * Mixture of female and male NPC's - Females are usually the commanders! Mercenaries to help even out the raids ;) they are a lot hard than vanilla! Combat style: Rush in and cut the heads of anyone in the way! Drops: Meats, Bones and Flora - everything a growing mutant needs. Strategy: Take out their bosses as they pack a powerful blow. Strategy: Run for your life, these guys are hard. 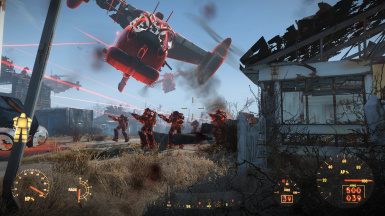 if you cant do that then take out Vertibirds and Bosses first. Strategy: Keep well back and do not get trapped into a corner or you will pay the price! Strategy: Have plenty of backup and keep moving! Group breakdown: Mixture or melee, machinegun and missile launchers! Strategy: take out their missile launchers first or you will loose turrets quickly, but keep on eye on melee units as they are quick! * Run the game as normal and go to one of the supported settlements. * Open the console window by pressing the tilde (~) key. 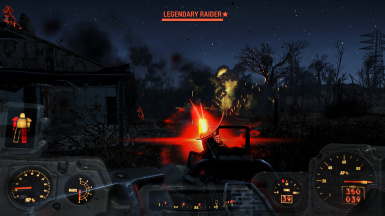 Once input the type of raid you would like press enter and the raid will begin, It may take up to 1 minute for it to start depending on you computer hardware, this is because some raids have 60+ NPC enemies which all have to load and be given scripts to attack you. Please be patient they will come! 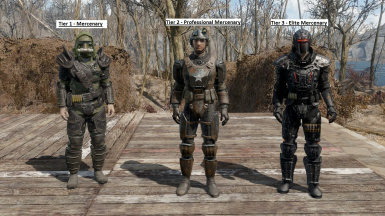 The Mercenary Plugin is an option part of the mod which will allow you to spawn mercenaries (Settlers) to permanently add to your settlement count, They are basically just normal settlers that have been slightly pumped up to be more badass, They do not in anyway effect how you normally receive settlers so it will not conflict with any settler mods. Will add individual spawn IDs on next update. * You have a 50/50 chance of getting either a male or female mercenary. * The soldier is now ready to be commanded! Now assign them to guard duty and spawn some raids to put your new soldiers to the test! 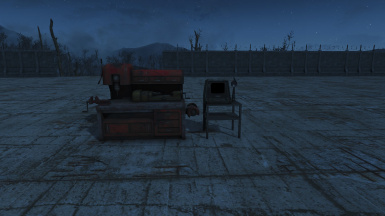 Once equipped with modding tools there will be several options to how this mod will work, first will be an option to just increase vanilla raids. 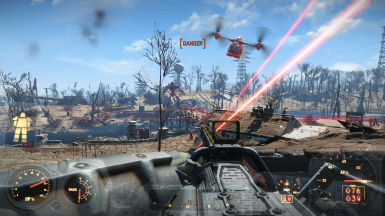 another option will be to increase raids and use the enemy groups from this mod, another option will allow you to build a distress/attract beacon similar to the recruiting beacon, once hook up to a terminal it will allow you to send out radio transmissions to spawn you own raids, and of course you will be able to mix and match options to suit you! 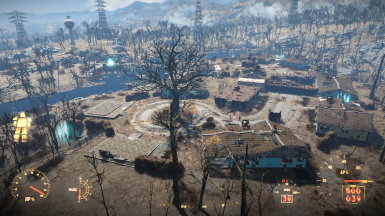 this way you can lure them to your settlement then kill them for their gear/caps/xp. If this seems like something you would like added to the game please endorse and show your support, which will tell me to continue adding to it while we wait for modding tools. Thank you for reading! * Added Nano Armor that T3 Mercenaries use to constructible items (Chemical workstation) - Originally made by vasstek just slightly modified by me and fit in better with the Elite Mercenaries - BIG THANK YOU TO Vasstek for letting me use their work!